Five years ago it was easier to choose sustainable fish and seafood in restaurants. We’d check our phones to see if yellowtail or mussels were on the green list of the Southern African Sustainable Seafood Initiative (SASSI). If they were – two yeses, in this case – we’d order and tuck in. These days there are complications. First, a restaurant might tell you their linefish is local and sustainable. Your phone can’t find any of those creatures on any SASSI list. Perhaps by “Cape Bream” the waiter meant Hottentot. There’s a “Slinger Sea Bream” on SASSI’s list. “Red Snapper” might be Carpenter and “Santos” is Santer. But he doesn’t know that and neither do you. The chef doesn’t know either. He’s only repeating the names the supplier gave him. Literally no source at the restaurant – including your phone – is able to give you a thumbs-up or thumbs-down. 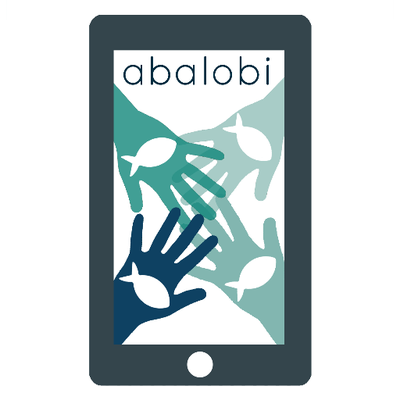 Second, many of Cape Town’s restaurants are now supporting the excellent Abalobi app. This links chefs to small-scale fishers from six impoverished Cape fishing communities. A chef like Frank Dangereux of The Food Barn can now buy just-caught fish using a photograph taken of the bottom of a fishing boat. It feels good to order a fish that had been sourced using the Abalobi app. That fish has been caught close to the shore, with a fisher’s own hands. SASSI has taught me that small-scale fishers – no, they’re not all fishermen – have varying impact on fish stocks. 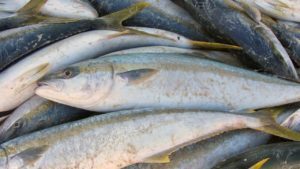 In Cape Town, the fishers who catch snoek one-by-one with handlines; yellowfin tuna with a pole and yellowtail with rod and reel are not threatening the survival of those species. But what if you order an Abalobi fish that’s not on the green list – something like Santer – and then less scrupulous restaurants start selling extremely vulnerable linefish, like wild-caught Kabeljou or Cape Salmon, because diners like us “made it okay” to order off orange or red? We have to stay informed. In the mid-2010s seafood sustainability was a hot dinner table topic. By then, the news had reached the global citizenry that overfishing was an environmental issue up there with climate change. Half a decade later and you assume restaurants have shifted gear. You’re wrong. The Mozambiquan Pink Prawn is on SASSI’s red list. So are Indian Shrimp. So are Kiddi Shrimp. Most Whiteleg Shrimp are red-listed. That’s four types of prawn. The only type of prawn not on SASSI’s red list is the Cold Water Prawn, trawled in Norway. It’s on orange. Yet seafood restaurants, fish and chip shops, sushi bars, Chinese restaurants, Portuguese restaurants, hotels and fine dining establishments continue to buy truckloads of prawns, and diners continue to gobble them up. Did you know langoustines are on red? Did you know it’s a criminal offence to sell crayfish caught in KwaZulu-Natal? East Coast Rock Lobster is not only on SASSI’s red list, it’s a “no sale” species. South African diners also continue to demand predator fish like salmon and tuna – and restaurants continue to offer them. It doesn’t matter whose fault it is, but know this: Bigeye Tuna caught in the Atlantic ocean is on red. Atlantic salmon is orange-listed. It’s important to understand that SASSI and Abalobi both urge us to do the right thing – but their areas of focus are different. Where the SASSI App informs the diner about whether catching a type of fish or seafood is environmentally sustainable or not, the Abalobi App improves traceability for restaurants and supports small-scale fishers by linking them to a market. Top chefs like Bertus Basson, Kobus van der Merwe and Kerry Kiplin of Bistro Sixteen82 are among the 100 chefs and restaurant owners registered with Abalobi. On 1 February, Abalobi announced that on that day it had received 1500 orders. This translated into 20 tons of fish of 30 different species. Each species was a “responsibly fished”. In this context “responsible” means “socially fair and ecologically responsible”. Abalobi is currently working with SASSI in “a joint process to incorporate key human dimensions into SASSI assessments, and to work with small-scale fishers to find ways to rebuild overexploited stocks”. Since Abalobi started operating a year ago the “artisanal” fishers it uses have made R1,5m. Three months ago the organization was shortlisted for SA’s 5 Most Exciting Start-Ups. Diners need to ask their waiters for the Abalobi QR code of the fish they wish to order. The app will then display information about how the fish was caught, when and by whom. Five years ago I wrote a book advising South African consumers to consult SASSI’s green list, and to stick to it. Now Abalobi makes seafood entirely traceable and empowers small-scale fishers. Only a percentage of our restaurants are trustworthy. If we want to order ethically we need to take our smartphones with us when we go out to eat. Anna Trapido: Not that healthy and the flavours are vile – so why do people vape? Daisy Jones: Wolfgat is the world’s best restaurant: Why does it matter? Great article Daisy, that you for putting things into perspective. We all need to be more #conscious of our actions and choose more wisely. Sadly restaurants such as Fishmonger in Illovo couldn’t care less about sustainability and proudly serve musselcracker on their specials.